As with many crimes, the classification and penalties for drunk driving are more serious with subsequent offenses. 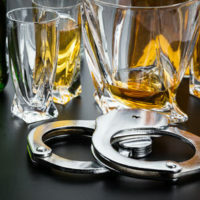 If you are charged and convicted for DUI a fifth time, the crime is a Class E Felony according to Delaware’s system for categorizing criminal activity. First and second DUI offenses are both misdemeanors, while three or more convictions in your history will always be a felony. On the fifth time you are convicted of Driving Under the Influence, the mandatory minimum prison term is three years; all but 18 months of the jail sentence can be suspended. However, the law allows a judge to sentence you up to five years in jail based upon the facts in your case. In addition, the minimum fine is $3,500 and you could be ordered to pay up to the maximum of $10,000 in fines. A fifth drunk driving conviction also impacts your driving privileges, so your license will be revoked for 18 months. Plus, you will be required to install an ignition interlock device (IID) on any vehicle that you will use during the first year of your driver’s license revocation. All installation and monthly fees are your responsibility. Expungement is a legal process that allows you to remove a prior conviction from your criminal record, so long as you meet the necessary requirements. The benefit is that the crime will not appear in your history for purposes of an employment background check and similar situations. In Delaware, it is not possible to expunge a drunk driving conviction from your record, so it becomes part of your permanent record. Whether it is your first, fifth, or subsequent drunk driving charge, it is important to retain an experienced lawyer to represent your rights in a DUI case. The stakes are high if you are convicted, with lengthy prison sentences, hefty fines, and implications for your driver’s license. If you would like to hear more about your defense options, please contact Attorney Michael W. Modica in Wilmington, DE.